ROB HESS SAYS he was “this close” to calling for a wheelchair. One of the owners of Jackson Hole Mountain Guides and president of the American Mountain Guide Association’s board of directors, Hess was on his return journey from leading an ice-climbing clinic for aspiring guides in Canada when he found himself crippled by pain and unsure he would be able to walk between gates at the Denver airport. He gritted his teeth and limped through the terminal, dropping into his seat with relief when he arrived. It was a wakeup call. If Hess, fifty-seven, couldn’t walk, he couldn’t guide. If he couldn’t guide, his career was over. “Being in chronic pain affects everyone around you,” says Hess. “I found myself questioning my existence, looking at what I did for a living and wondering if I would be able to continue.” Hip pain came on gradually for the accomplished mountain athlete and guide. Like so many others who find themselves with joint arthritis, he started noticing little things: He had trouble buckling his ski boots; he was stiff when he got out of bed in the morning; he couldn’t swing his leg up and over things. After a few years of the little stuff building up, the pain became serious enough that he was forced to give up ski guiding for a season. As his world shrank it became clear it was time to do something. BETWEEN 1993 AND 2010, the number of total knee replacements in the United States more than tripled while that of total hip replacements doubled. Those numbers are expected to continue to rise. 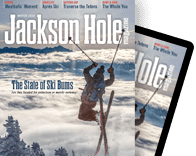 Nationally, the increase is attributed to a rise in obesity, but what’s going on around Jackson Hole is different—here it’s younger people, as well as fit baby boomers, who are having their joints replaced. Nationally, the increase in joint replacements is attributed to a rise in obesity, but what’s going on around Jackson Hole is different—here it’s younger people, as well as fit baby boomers, who are having their joints replaced. 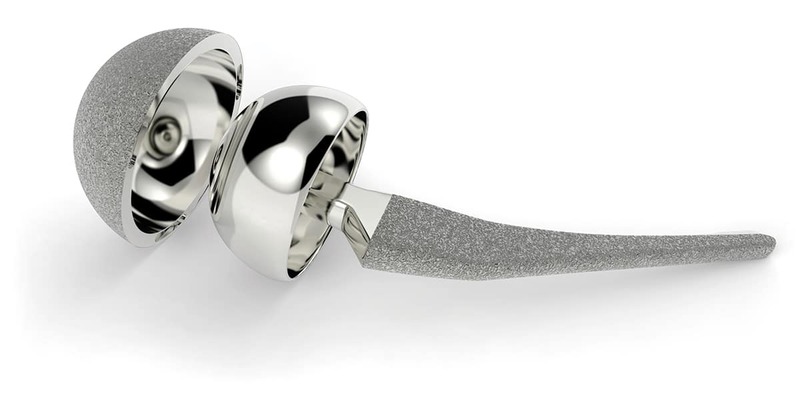 Hess is part of a growing trend in joint replacement surgery. 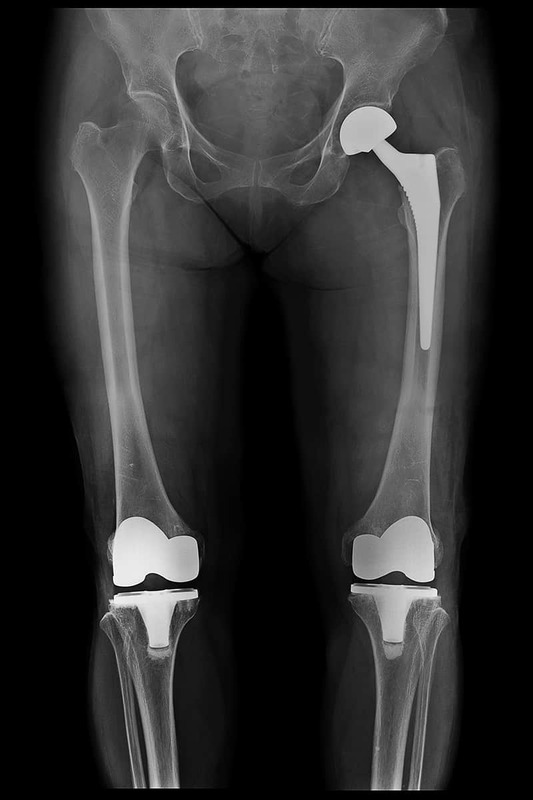 During the decade between 2000 and 2010 the U.S. National Center for Health Statistics recorded a 205 percent increase in the number of people between forty-five and fifty-four years old opting for total hip replacements, while the rate of total knee replacements nearly tripled for that same age group. Records aren’t available for younger patients. ASK AROUND JACKSON Hole and it doesn’t take long to find people who’ve had a joint or two replaced. You’ll see them backcountry skiing, biking, hiking, climbing, even guiding or ski patrolling. Take Wesley Bunch, who had a knee replaced when he was forty-two after a series of failed surgeries to fix a ski injury, and then had a hip replacement in 2012 at age forty-eight. Bunch has guided fifteen high-altitude expeditions since his hip surgery. This past winter he guided in Antarctica and on Aconcagua, the highest mountain in South America. “I never knew I had a hip problem,” Bunch says. “Then I hiked up to Goodwin Lake [in the Gros Ventre Range] and couldn’t make it back to the car. I had to crawl.” Like Hess, Bunch’s guiding depended on his mobility and his artificial joints have prolonged his career. The desire to continue outdoor pursuits “represents a classic Jackson Hole patient,” Dr. Angus Goetz told the Jackson Hole News&Guide last October. Goetz does as many as five replacement surgeries at St. John’s Medical Center on an operating day. For many patients the positive results are evident immediately. Streubel and Crystal Wright of Wright Training in Jackson say that you can improve your outcomes by going into joint replacement surgery as fit and strong as possible, and then follow up with rehab. According to Streubel, 80 percent of one’s recovery takes place during the first three to six months, with the remaining 20 percent taking place in the first year. Where he sees people falter is when they fail to continue to strengthen their new joint. Wright, who has worked with dozens of people both before and after joint replacement, says, “There’s a lot of work to do after surgery. Rehab is so important and then it’s important to move on to strengthening. Without these things people may still have a lot of pain. In the middle of his heli-ski season in Alaska, guide Kees Brenninkmeyer injured his knee. He limped through a couple more weeks of work, but it was clear the knee needed surgery. Brenninkmeyer was able to afford the best surgical center he could find: the Steadman Clinic in Vail, Colorado, which is known for helping injured athletes return to their careers. His surgery was successful, and he realized after his recovery that many of his colleagues did not have the financial resources he did. For them, a similar injury could jeopardize or even end their careers. In 2007, Brenninkmeyer and his girlfriend died in a mountaineering accident. In his honor, his family established the Kees Brenninkmeyer Foundation, whose mission is to financially assist injured alpine guides, ski patrollers, and instructors who require surgery to continue their careers. The application for assistance is rigorous, but once accepted, an individual’s medical expenses are completely covered.